A substitute teacher is accused of teaching kids about rapper Chief Keef and showing them horror movies like "Nightmare on Elm Street" and "Child&apos;s Play." 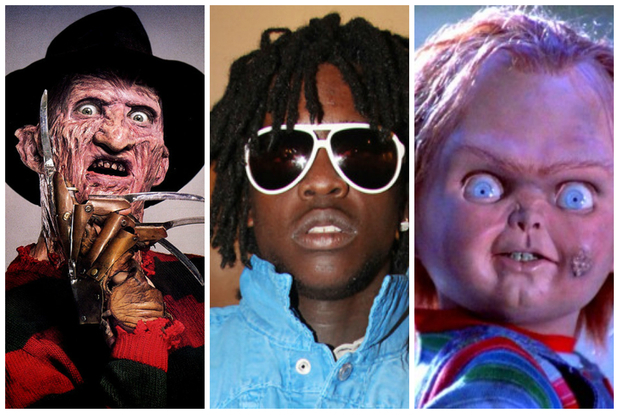 WOODLAWN — What do Freddy Krueger, Chucky the Killer Doll and Chief Keef have in common? Each was part of a substitute teacher's educational offerings to South Side elementary school kids, some as young as third grade, the students say. 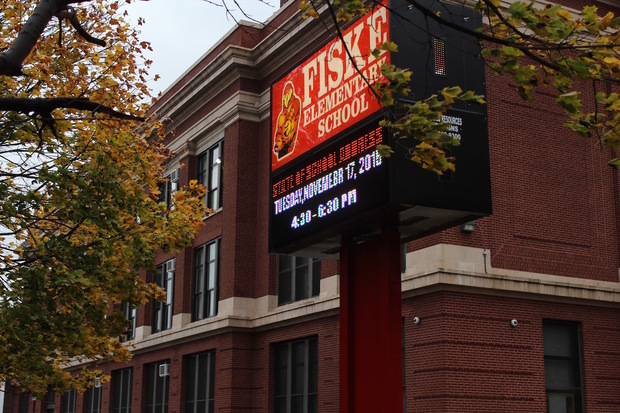 More questions arose on Tuesday about what was happening in music class at Fiske Elementary School after young students said they were watching horror movies, as well as doing lessons on rappers like Chief Keef. The rap project was slapped down as "inappropriate" by Chicago Public Schools officials and the yet-to-be-identified substitute teacher was yanked from the school at 6020 S. Langley Ave. on Tuesday. Tuesday's action came after parents complained their kids were being quizzed on Chief Keef's arrest record and forced in class to listen to music glorifying drugs, gangs and violence. Students, whose parents asked they not be identified for fear of retribution by school administrators, said they had watched multiple horror movies with the same teacher that had taught lessons on rappers using handouts with curse words. “She had a big board and would let us watch anything,” said a third-grade boy. He said his class watched “Child’s Play,” an R-rated horror movie from 1988 about a doll named Chucky that's possessed by the soul of a serial killer. Other students in third to fifth grades said they watched “Nightmare on Elm Street,” “Friday the 13th” and other horror movies. “We didn’t want to watch it because we thought we would get into trouble,” said one fifth-grade boy. It’s still unclear why the lesson plans that parents on Tuesday said were clearly inappropriate were allowed to continue at the school for so long. A grandmother, who didn’t want to be identified out of fear of retribution against her grandchildren, said she got the feeling something wasn’t right when her third-grade grandson brought home a handout on the rapper Fetty Wap on Nov. 9 and had underlined the curse words. A spokesman for CPS said the substitute will no longer be assigned to schools. The problems in the Fiske music class came to light on Tuesday after parents complained about their kids being forced to take a quiz on Chief Keef and listen to the rapper’s music in class. It’s unclear still who knew about the curriculum, which started in September according to screenshots of an online assignment and grades site provided by parents. Some students said other teachers were aware of the lessons in music class and others said their other teachers were also playing music by Chief Keef and other music that they said made them uncomfortable. Principal Cynthia Miller did not respond to requests for comment.